NEW YORK, Sept. 29, 2017 /PRNewswire/ -- Today, Epic/Legacy Recordings, in collaboration with The Estate of Michael Jackson, release Michael Jackson SCREAM, a collection of 13 of his all-time most electrifying and danceable tracks including Ghosts, Torture, Thriller, and Dirty Diana. The CD and collectible glow-in-the-dark 2LP vinyl (the latter available October 27) release of SCREAM contain an exclusive poster from which fans can launch the first-ever augmented reality experience created for a Michael Jackson album. The album includes the bonus track, "Blood on the Dance Floor X Dangerous," a 5-song mashup from the acclaimed remixer The White Panda. In addition to the new SCREAM album being released today, The Estate of Michael Jackson joined forces with world-renowned superstar producer DJ Steve Aoki to create an 'official' remix of Michael Jackson's "Thriller". 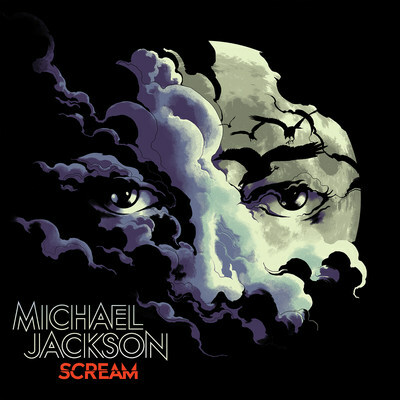 The Michael Jackson "Thriller (Steve Aoki Midnight Hour Remix)" is out today as a standalone single; available for download and streaming here: https://MichaelJackson.lnk.to/scream_pl!pr "Thriller," written by Rod Temperton, is the title track from the best-selling album of all time. THRILLER is the first and only album to be RIAA certified 33x Platinum and has topped 105 million sales worldwide. ABOUT SCREAM - The immersive "Scream" AR experience is like nothing fans have seen before. Reflective of Michael Jackson's own innovative thinking, Sony and the Estate have teamed with Shazam to make it possible for Shazam app users to just point the Shazam camera at the posters to launch the activation. It is the first time that Shazam has made an AR experience integrated with a CD or vinyl release available to its users; it also marks the very first global AR initiative for Shazam. In addition, SCREAM billboards and posters will begin to appear in major global cities today which also include a Shazam logo that can be used to trigger a second augmented reality experience inspired by the album's cover artwork. Sony and the Estate worked closely with the multi-platform creative studio Flight School to create this exclusive experience which incorporates audio from the recently released SCREAM bonus track, "Blood on the Dance Floor X Dangerous."